The X200, our entry-level 3.7m SwimCross Exercise System, provides fitness and fun in a compact package. Our smallest model, the X200 gives you at-home convenience for low-impact, full-body exercise. Featuring our all-new jetted swim current, the X200 boasts 5 jets, 5 speeds, and minimal turbulence. When used with our swim tether, you get gentle resistance for exercise that's both enjoyable and pleasurable. The durable, steel-framed cabinet has sleek, modern styling that's virtually maintenance-free, so the X200 brings both beauty and functionality to your home. 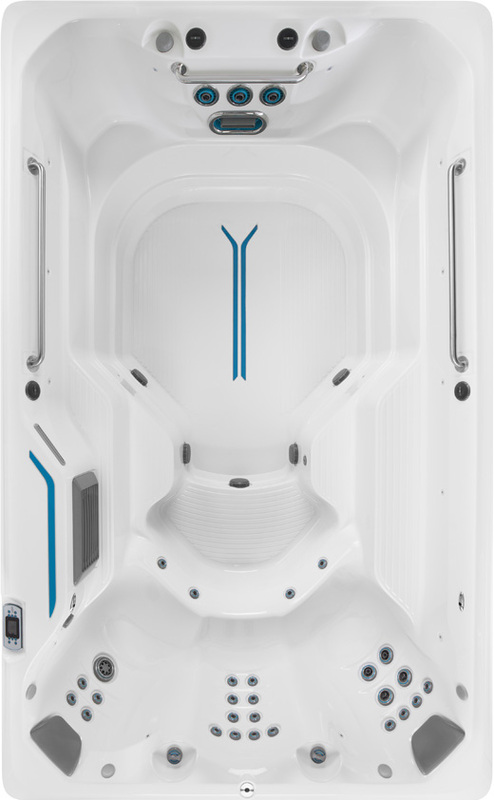 With your choice of options – from a Swim Mirror for real-time technique feedback to an 8-speaker Bluetooth music system – you can truly make this model your own. View Specifications.